We’ve reached the end of the road, and to be honest, I don’t know how I am going to move into this post-Broad City phase of my life. I am thankful that I have my friendships with Abbi, Arturo, Hannibal, John, Paul and finally, Ilana, but I am sad that I won’t be experiencing any new episodes. Outside of what Abbi promised earlier this week and Ilana agreed to just moments ago. As soon as she arrived at my house, Ilana knew how much pain I would be in and held me in her arms, reminding me that I will always be a kween and she will always love me. To say I cried, I cried, I cried. I … cried for hours was an understatement. But that is what you can do when with your nearest and dearest. I’ve known Il the longest out of the BC crew, attending Smithtown High School together before moving to NYC and living together in BK. Which you may recall is how I met Rach Bloom, as she took over my room. Look at me! I made a little rhyme. In any event, I’ve long been a passionate supporter of the goddess that is Ilana and I’m so proud of all that she has achieved over the years. 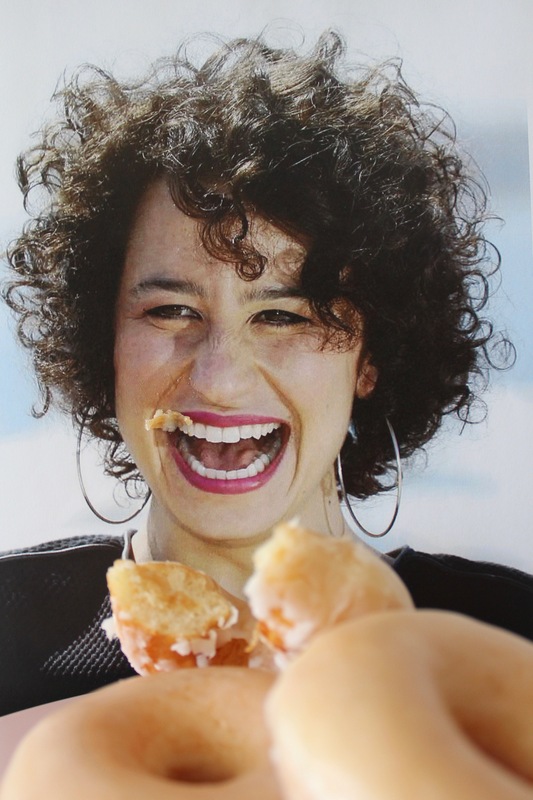 Which is why I couldn’t honour her with anything less than an Ilana Glazered Donut. My take on this Krispy Kreme classic isn’t how the giant would traditionally make them – I bake, I bake, I bake, I bake – but I would argue they still taste delicious. Maybe it is the lack of nazi ties? Soft and fluffy on the inside, smooth and sweet on the outside, I wish I knew how to quit them. And Broad City. Serves: 1 sad Broad City fan. Make the donuts as per Shan’s recipe and leave to rest on a drying rack. Once almost cool, melt the butter in the microwave and pour into a bowl with the icing sugar and vanilla, and whisk until combined. Add the milk a tablespoon at a time until you reach your desired consistency. Dip the donuts in the glaze and return to the rack for an hour, or until set. Devour. Crying. Watching the finale holding your Bingo Bronson.